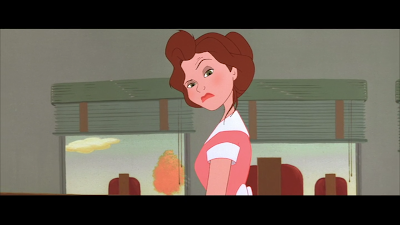 This movie had great animation; it was a great animated movie. 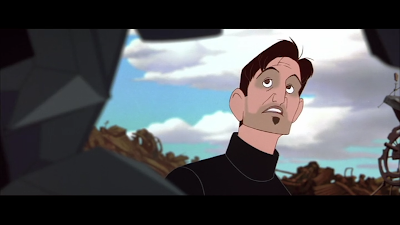 I loved the themes of the movie as well: good versus evil, guns are bad. I also loved the incorporation of Superman. 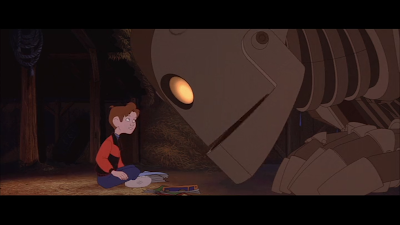 The interaction between Hogarth and the Iron Giant was special. My favorite character in the movie was Dean. 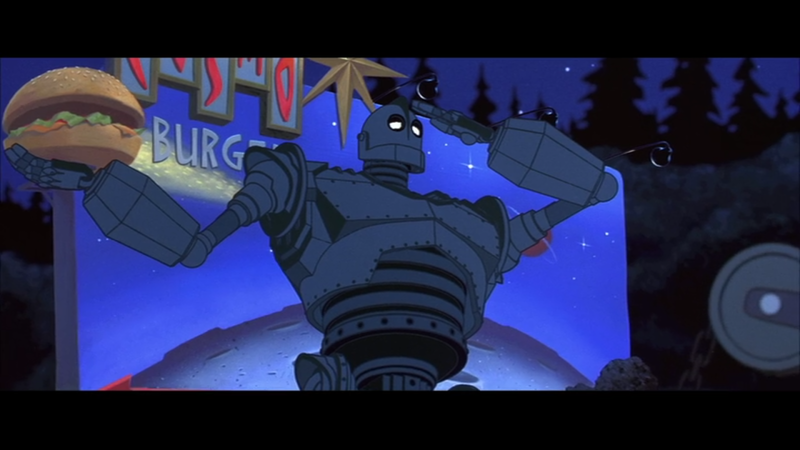 Then the Iron Giant. And then Hogarth. The voice actors did a good job, but I wasn't able to recognize their voices while watching the movie. 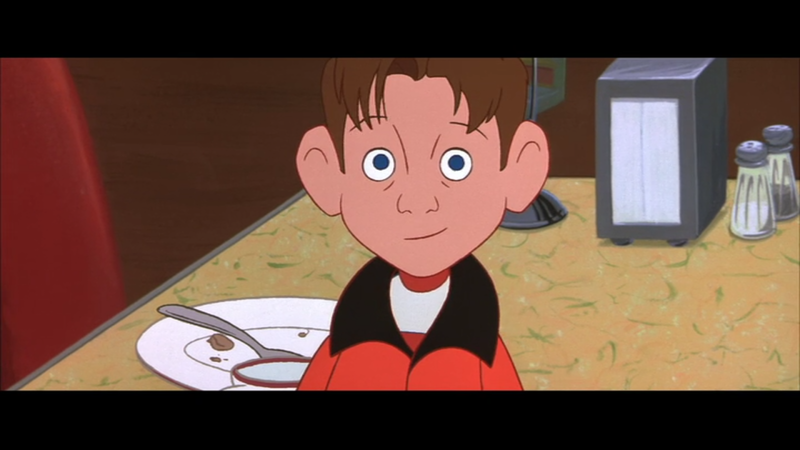 Perhaps if I watch the movie again I would recognize the voices. The music wasn't memorable, but it was good. In any case, I would probably buy this movie somewhere down the road. I love the scene where Giant jumps into the lake. I also love the themes of the movie. Haha, after I made the previous comment, I looked up at my previous entry and saw that I basically wrote the same thing. The movie flowed well. I rated the movie 5 stars on Netflix.